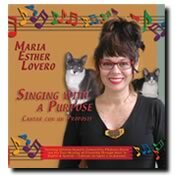 "Through my music, I want to be able to enrich people’s lives, especially children's lives and to help plant a seed of Peace, Love and Hope in the world. It’s my commitment for life." 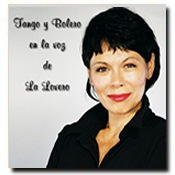 A powerhouse in musical theatre and night clubs is this superior bilingual singer/songwriter vocalist, originally from Buenos Aires. 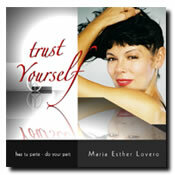 Maria Esther Lovero is also an actor, producer, director with more than 30 years of experience in show business. Winning awards for dance, pop, tango singing and advocacy. She became a teen idol and sold-out stadiums with thousands of fans who could not get enough of her energetic performances. Come and see this artist extraordinaire!